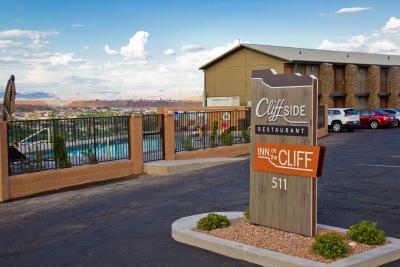 Lock in a great price for Inn On The Cliff - rated 9.5 by recent guests. 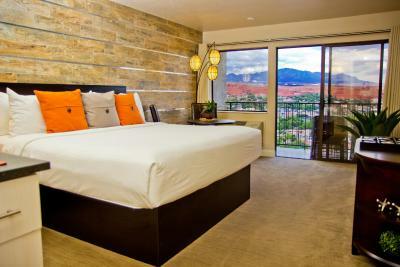 The modern room with nice views and good beds for a very reasonable price. 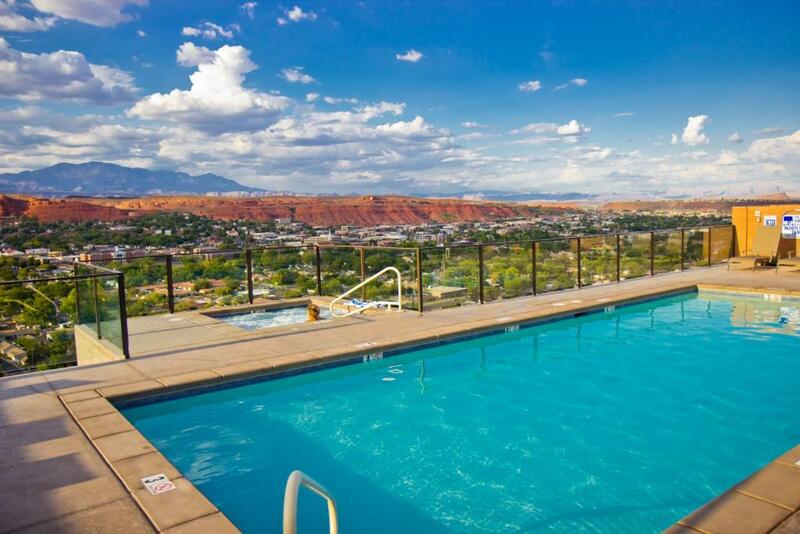 Location overlooking St George is breathtaking. Clean and very spacious room. Lovely complimentary breakfast. Very nice and helpful staff. Great gateway to Zion National Park. Would return any time we’re here. Excellent view from every room. Nice balcony. Clean and very nicely decorated. 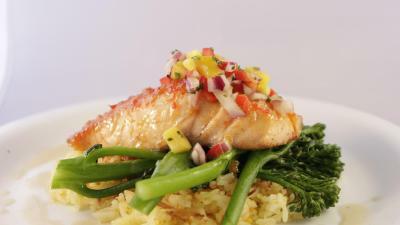 Very good restaurant closeby. View from bedroom on mountains is magnificent. Same goes for hotel-restaurant. The attention to detail at the Inn on the Cliff was impeccable. Things you may never think of were looked after here. First of all the bed was the comfiest I've ever experienced, the breakfast delivered to the door was the perfect homemade mix of everything, our balcony was our own private oasis above the city, and the constant service with a smile made us feel that each and every staff member was so incredibly happy to have us there. It was a refreshing experience after staying at other chain hotels on our travels, as the Inn on the Cliff got each and every detail right! Wake up to amazing views and light breakfast delivered to your room. 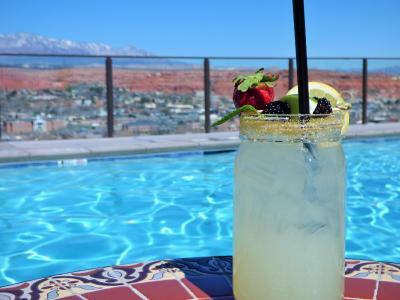 With very friendly staff and one of the best restaurants in the area, Inn on the Cliff is the perfect hotel to explore the quaint town of St George and all the activities in the area. Amazing rooms and views. Breakfast was nice. Restaurant was wonderful. Staff extremely friendly and helpful. View outstanding. Restaurant top notch. Bathroom well appointed. 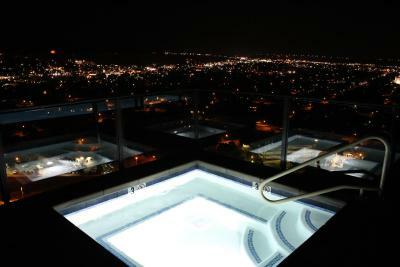 Great hotel with amazing view from room and also from pool. I fully recommend to stay there. 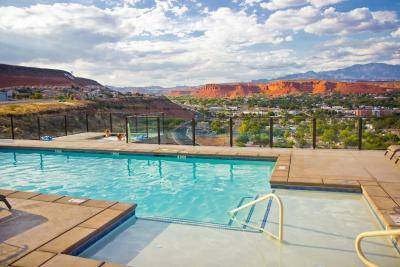 Offering a private balcony, each room also includes a 50-inch flat-screen cable TV, a small refrigerator and coffee-making facilities at St George Inn on the Cliff. An en suite bathroom is included. A fitness centre and a business centre are provided at Inn on the Cliff St. George. Free parking is available on site. Valderra Golf Course at the Ledges is 15 minutes’ drive from the hotel. Zion National Parkis is 43.5 miles from Inn on the Cliff. Inn On The Cliff has been welcoming Booking.com guests since 10 Feb 2014. When would you like to stay at Inn On The Cliff? 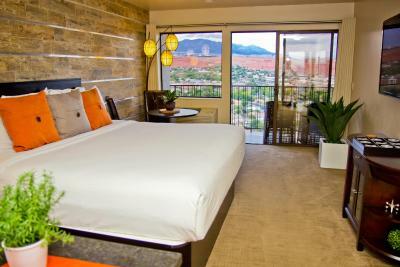 This room features a private balcony, a 50-inch flat-screen cable TV and an en suite bathroom. A small refrigerator and coffee-making facilities are also included. Please note that the Double Bed is a Trundle Bed. 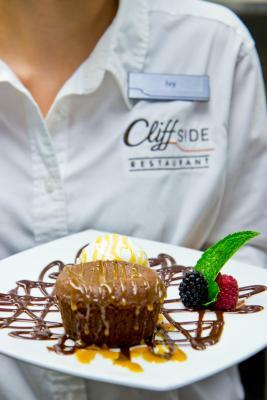 House rules Inn On The Cliff takes special requests - add in the next step! Inn On The Cliff accepts these cards and reserves the right to temporarily hold an amount prior to arrival. 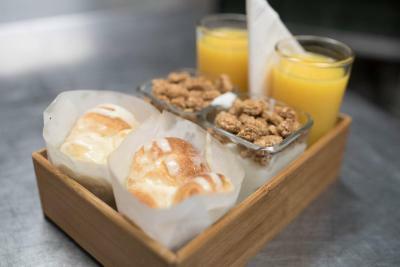 Please note that the free continental breakfast includes, pastries, fruit, yogurt with granola, a boiled egg, cheese block and juice. Free coffee, tea and hot cocoa are also provided. The bathroom was getting a little shabby. 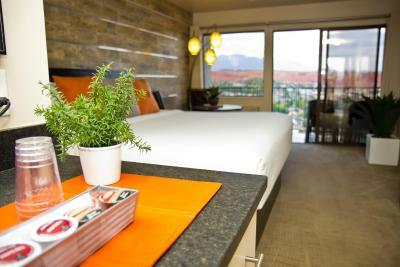 The view and the room amenities. There was a mint on the pillow, and the personal items were elegant. 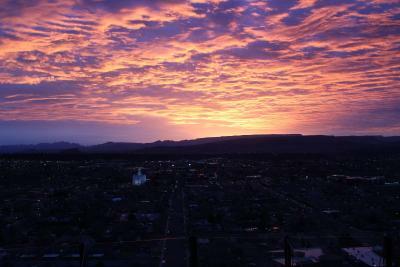 The view is the best in town wit a personal balcony was a bonus. There is construction going on around the Inn so it’s a little convoluted to get there and a little distracting from the beauty of the site. The restaurant setting was beautiful, the food was good (not fantastic). The pool is nice but small. 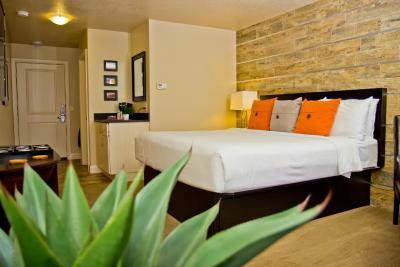 Loved the setting, the rooms was clean, updated and quite nice. The breakfast in bed was such a bonus!! The bathroom was very small -no good place to set toiletries. Parking spaces near rooms filled up quickly with restaurant patrons in the evenings. This is a lovely inn with spectacular views and the kindest staff. 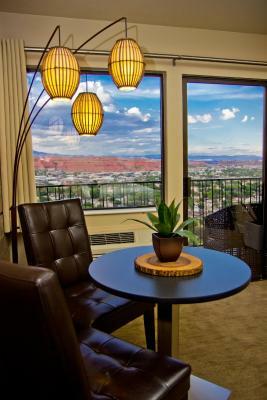 The rooms have views out over St. George and the mountains beyond. You can lie in bed and just gaze at the scenery. The bed is comfortable and the breakfast brought to the room is a wonderful bonus with a great presentation. Charming is the word that comes to mind. The restaurant next door is very good. The beds were very comfortable. The heating and AC worked really well...and we needed both during our stay. 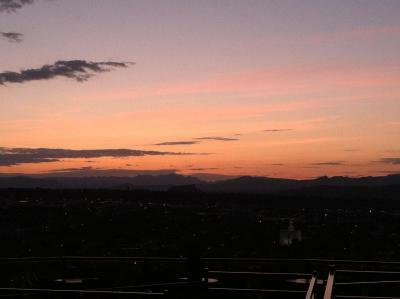 Loved the view, the breakfast, dinner at the restaurant, the jacuzzi, the staff. Everything was absolutely wonderful. Loved having different pillow! Everything was EXCELLENT!!! Wonderful place. Moving to St. George and just may stay once in awhile just to enjoy all of the benefits!!!! Not much. It is Utah so the bar is limited to beer and wine. Its called Inn on the Cliff. It lives up to the name. 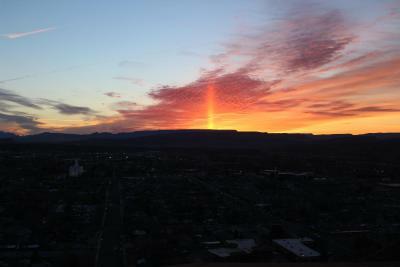 The view is spectacular! I do all the booking for our travel and I was rewarded for exceeding the mark on this one. She loved it as did I. And the adjoining restaurant was also first rate and very well priced. Initially, the room was a little stuffy, solved by opening the door and airing out. The location is great for the view, but it was further from the airport than I expected (still not bad, within 15 - 20 minutes), which was my primary objective, this was just a stop over. View from the room, the decor of the room, the staff in the office - both Sunday afternoon and Monday morning. The lighting in the room was good. 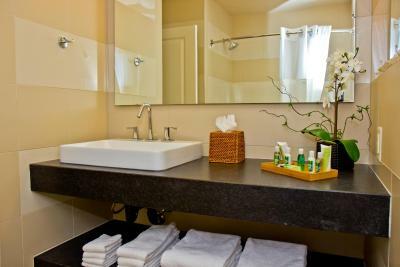 Nicely appointed bathroom with heavy, soft towels and wash cloths. We loved Inn on the Cliff! Gorgeous room and breathtaking view! Every attention to detail was made! We were celebrating our anniversary and they left us a beautiful piece of cheesecake and sparking cider as a complementary gift when we got to our room. It was just so very thoughtful! Super comfy bed and linens. 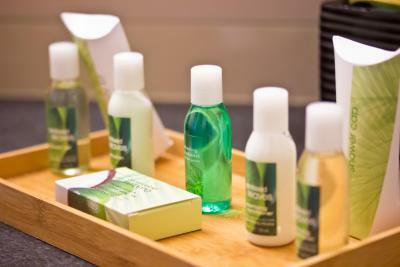 Really nice toiletries in the bathroom. 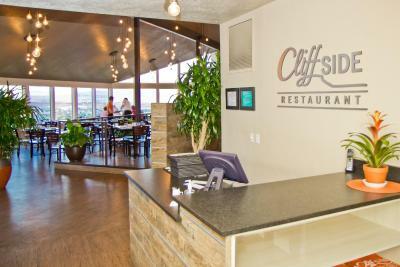 We will definitely stay there again and the Cliffside Restaurant is right next door and that place is the most delish restaurant! Our absolute favorite! Oh almost forgot the darling breakfast that we got in our room! Homemade pastry, yogurt with fresh fruit and granola, cheese and a hard boiled egg and juice. Served in a beautiful manner! Just perfect for breakfast. They have really thought of everything!! Loved it! The bed was super comfy but the best part is the breakfast in a box delivered to your door with a hot cinnamon roll. It doesn’t get better than that. The breakfast was the only minor aspect. There is no breakfast area (although there is a good restaurant in the adjacent building), they choose to bring you a fixed/prepared breakfast. I expected a huge variety in breakfast, fresh fruit, choice of cereals, scrambled eggs, bacon, yoghurt, all fresh. Instead I had to dial '0' to indicate that I was ready for breakfast, and after 5 min you will receive it at the door. Fixed breakfast (I stayed two days), a bit fatty. Although all fresh ingredients, it simply was not what I hoped for. Considering the price of the room, I felt disappointed for what I got in return. Absolutely a fantastic location: at the edge of a 50m or so cliff, overlooking St. George. Parking space almost at your front-door, a spaceous room, clean, new, cozy, good atmospheric lighting, quiet location. 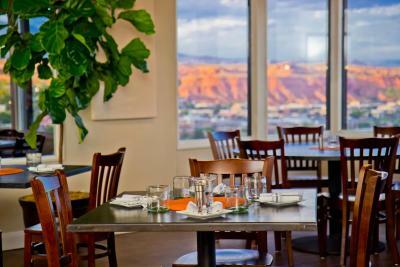 The hotel has a terrific restaurant, which was the main reason to select this hotel in the first place. 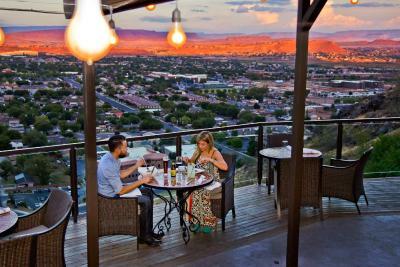 When dining after 7 PM you can easily get a table at the window, overlooking the evening in St. George. 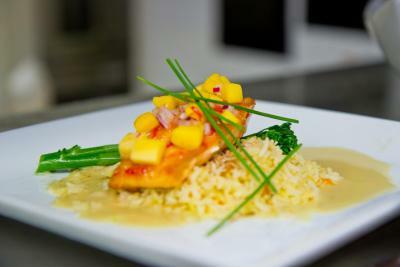 Great food served, tasteful, well presented. Absolutely a good choice. These people really know how to run a hotel. Best hotel without pretense EVER! All the immenities you need are included, lncluding breakfast in bed! Fabulous view, lovely room and a very friendly staff. The view is amazing and the continental breakfast delivered to our room was great!